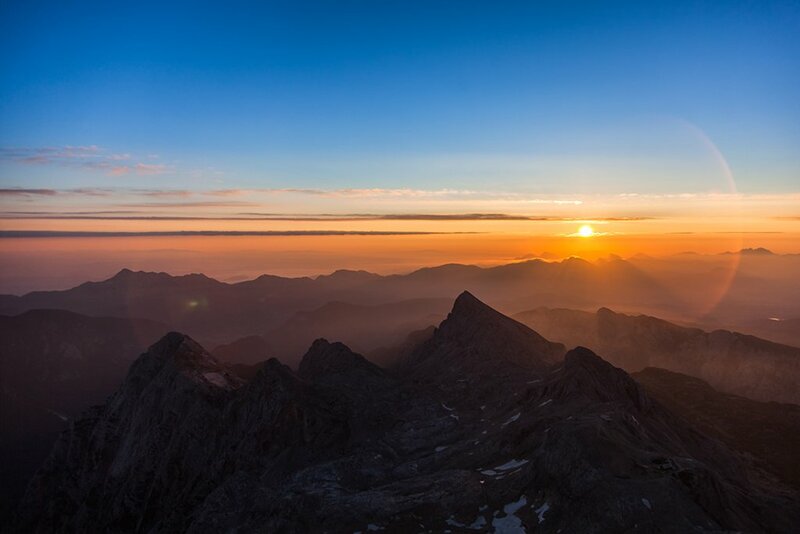 The beauty of the Slovenian Alps is astonishing at any time of year, making this region a perfect destination for adrenaline enthusiasts, photographers and solitude seekers alike. Rugged peaks loom over rolling valleys, where herds of sheep roam day and night. Sunrise lights up the emerald sheen of the Soča River, illuminating scattered fishermen casting their lines and kayaks launching upriver. 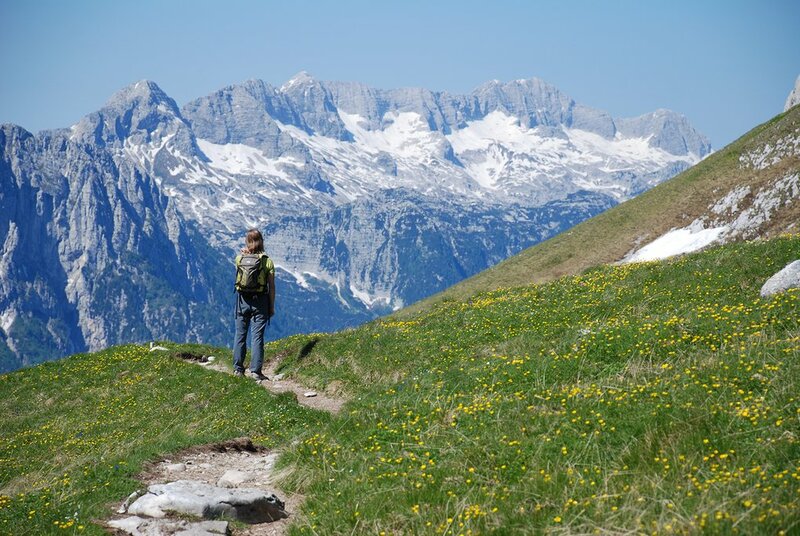 Whether you long to hike through the summertime wildflowers, sip wine amidst Autumn leaves, or snowshoe past frozen waterfalls, you can plan your perfect trip to the Slovenian Alps. Springtime in Slovenia is a pallet of colorful wildflowers, lush green valleys, and snowy mountaintops. A great time to visit, early shoulder season begins in April and lasts through mid-June, bringing pleasant temperatures ranging between 58 and 77°F (15 - 25°C). Spring months are ideal for hiking through the newly lush valleys, visiting the country's famous cave systems, and testing your rock climbing skills on the southern Karst plateau. Or, rent a bike and cruise around clear alpine lakes, enjoying the quiet time in nature before the summer tourist crowds arrive. 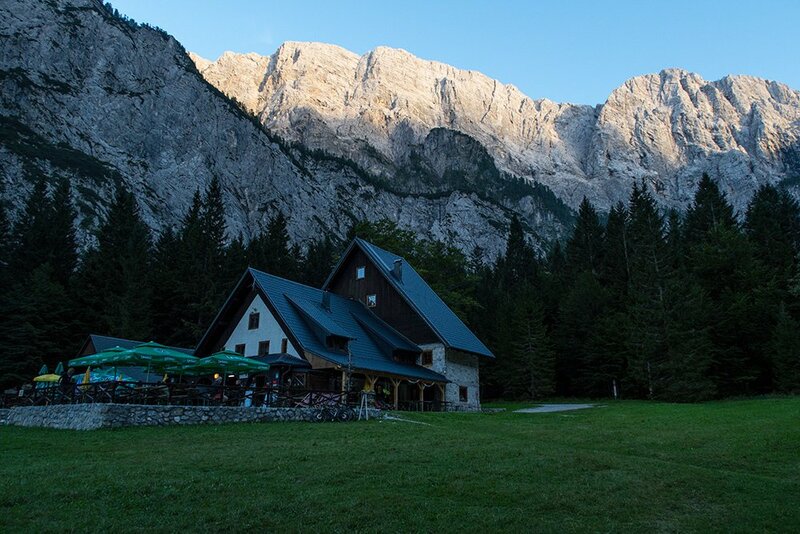 Summer is the busiest season in the Slovenian Alps, with travelers coming from every corner of the globe to explore the region. In the valley, things heat up - expect an average of 86°F (30°C) and hotter. The weather is much more pleasant as you head into the mountains - at 8,200 feet (2500 m), the norm is 50°F (10°C), ideal for hiking and exploring outdoors. While Summer is known as the dry season, there is a high possibility of severe thunderstorms late in the afternoon in the mountains. This usually means planning activities early in the day and returning to a sheltered location (down in the valley or in a mountain hut) by early afternoon. 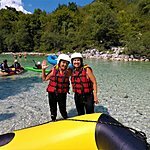 If your summer vacations aren't complete without time spent on the water, test your skills with whitewater rafting or kayaking in Soča Valley - known as one of the best water sport areas in all of Europe. 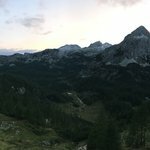 Autumn in Slovenia brings a bounty of stunning seasonal colors to the jagged mountain landscape. Enjoy comfortable seasonal temperatures hovering around 60°F (18°C) in the valleys and slightly cooler at higher elevations. Shoulder season begins in September and runs through October, favored by travelers in search of solitude and a relaxed atmosphere. 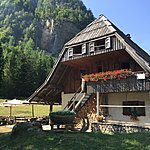 Breathe in the fresh mountain air or take in the scent of grape harvest throughout Slovenia's rolling hills and wine regions. 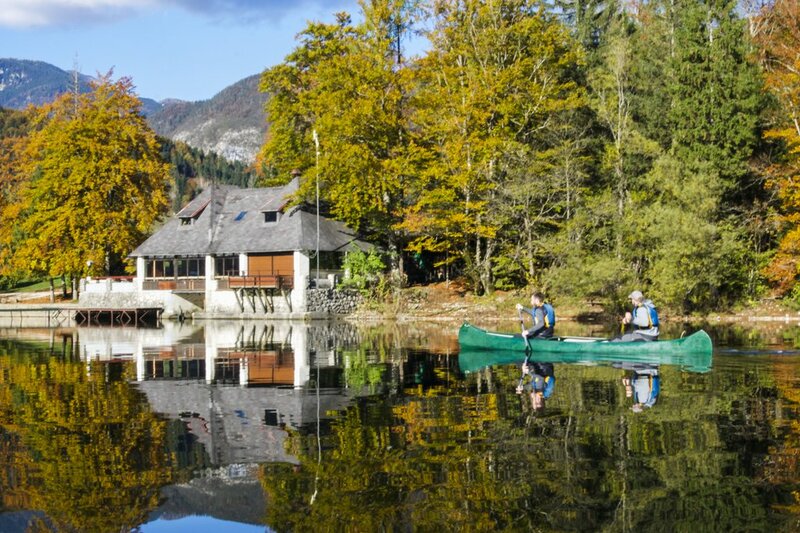 From the photogenic Fall colors to the noticeable absence of crowds, this is truly a perfect time to revel in Slovenia's beauty. Winter is a perfect season to visit Slovenia if you're looking for snowy outdoor adventures. Mountain areas receive their first snowfall as early as mid-November, with daytime temperatures reaching just above freezing in the valleys - though at higher elevations, you should expect a very brisk 14°F (-10°C) or colder. 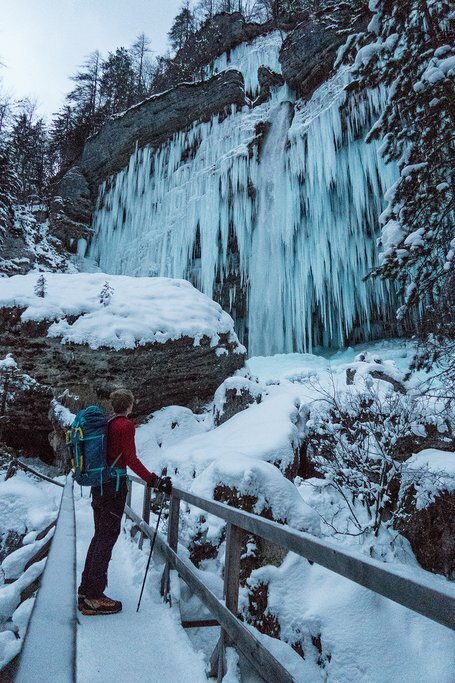 By January, frozen waterfalls are camera-ready and ice climbing tours are available, while ski touring is best from February through April when there is already a thick base layer of snow. 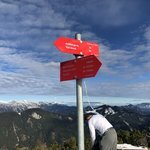 Additional winter activities in the area include Nordic skiing and snowshoeing in Slovenia's northern reaches, while caving and rock climbing can be enjoyed in the more temperate south.